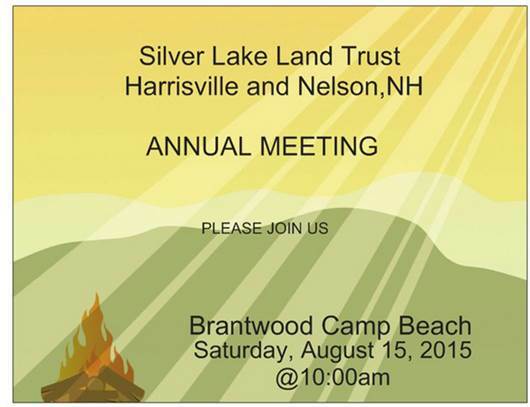 Please join us for the Silver Lake Land Trust Annual Meeting at 10 a.m., Saturday, August 15, 2015 at Brantwood Camp, Breed Pond Road, Nelson. 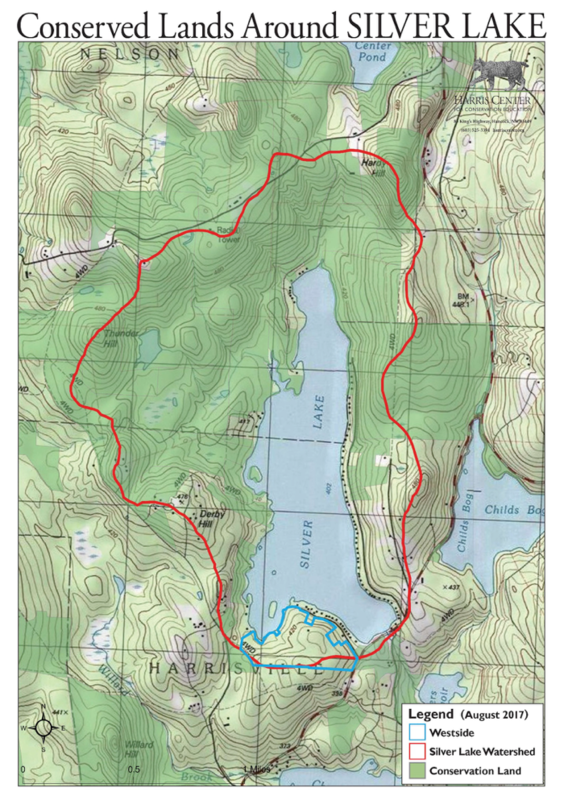 Drive Breed Road past Silver Lake, with the lake to your left, all the way to end, with Childs Bog to your right. Turn left on Nelson Road. After about 1 mile, turn slightly left onto Hardy Hill Road (a gravel road, and the rest of the roads are gravel). After about 0.7 miles, make a sharp left onto Lead Mine Road. After about 0.7 miles, make a left turn onto Breed Pond Rd. Drive carefully up the bumpy road for about a half mile to Brantwood Camp. At the center of town, turn onto Nelson Common Road at the library. Continue straight on Hardy Hill Rd (a gravel road). Continue for a total of about a half mile and bear right on Lead Mine Road. After about 0.7 miles, turn left on Breed Pond Road. Brantwood Camp is about a half mile up the bumpy road.